Police officers have moved to reassure residents after figures revealed in a vast majority of burglary incidents no offender had been arrested by investigating officers. The statistics, featured in a report by Greater Manchester Police’s external relations and performance branch, showed in 90.6 per cent of burglary in a dwelling crimes recorded between June 2015 and May 2016, an offender was not arrested. 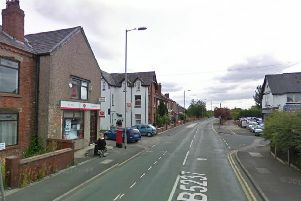 Inspector Frank Hall of GMP’s Wigan borough, said: “An investigation can be a lengthy process and is never fully closed. New information or intelligence could come to light, which could lead to the arrest of an offender. “All crimes are prioritised against an assessment based on threat, harm and risk; if there is an immediate threat to life, this will be treated with the upmost urgency. GMP prioritising its response to incidents falls in line with the recent description by chief constable Ian Hopkins that the service will operate under a reformed policing model. He told the Evening Post earlier this year: “We need to start the conversation with the public which sets out what the public can expect from us, what’s our commitment to working in an integrated way but also, very importantly, what do we need from people at a local level.